BAMBI: Good morning. GREAT PRINCE OF THE FOREST: Bambi, a prince awakens before the forest does. If you're late again, I'll have no choice... What was that? BAMBI: What was what? I guess it was my stomach. GREAT PRINCE OF THE FOREST: Then you should eat. Oh, well... I suppose I should find you something to eat. Here. BAMBI: No, thank you. GREAT PRINCE OF THE FOREST: Have you ever tried it? BAMBI: Well, no. GREAT PRINCE OF THE FOREST: Then how do you know you don't like it if you've never tried it? BAMBI: Mm! Mm-hm! GREAT PRINCE OF THE FOREST: Come along. We have to check on the other deer in the South Wood. BAMBI: Whoo-hoo-hoo-hoo! Whoo-hoo! Bambi! A prince does not whoo-hoo. BAMBI: He doesn't? GREAT PRINCE OF THE FOREST: He certainly does not. A prince maintains control at all times. Display dignity. Walk with pride. BAMBI: I'm OK! BAMBI: Oh! Oh! Cold! Cold! BAMBI: One, two... two... two... Argh! BAMBI: Whoa! Don't you think it'd be better if we got a little closer? GREAT PRINCE OF THE FOREST: The distance makes it easier to spot danger. BAMBI: But it sure makes it harder to play with them. Play is a healthy part of a young deer's development. GREAT PRINCE OF THE FOREST: Is that so? BAMBI: Mm-hm. Mother says so. One time, Mother and I were out... GREAT PRINCE OF THE FOREST: Bambi. 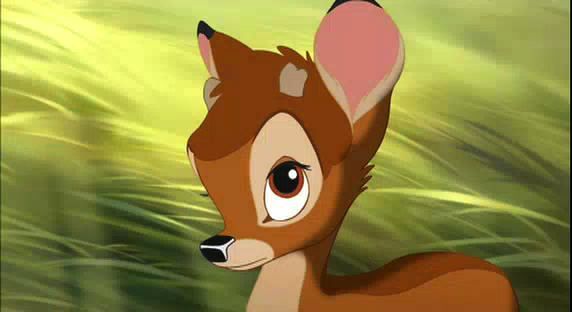 BAMBI: A fawn came over and wanted to play... GREAT PRINCE OF THE FOREST: Bambi. I think it's best to leave the past in the past. A prince does not look back, only ahead. BAMBI: Oh. Yes, sir. GREAT PRINCE OF THE FOREST: Now, come. We still have a lot of ground to cover today. Don't fall behind. BAMBI: What are you doing? GREAT PRINCE OF THE FOREST: Observing. BAMBI: Oh. Observing. What's observing? GREAT PRINCE OF THE FOREST: Well, it's... it's difficult to explain. BAMBI: Oh. GREAT PRINCE OF THE FOREST: You have to look, listen and smell, all at the same time. BAMBI: Oh, I can do that. Look, listen, smell. GREAT PRINCE OF THE FOREST: Try to feel the forest around you. 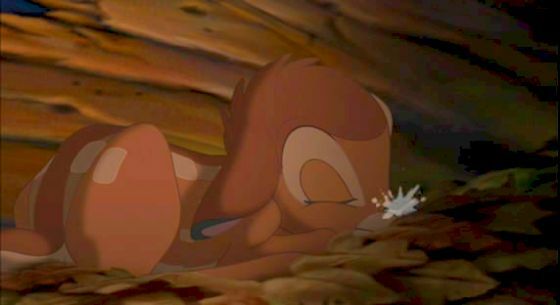 BAMBI: I don't feel anything. GREAT PRINCE OF THE FOREST: Does playing in the meadow. BAMBI: How do you know? GREAT PRINCE OF THE FOREST: I feel it in my hooves. If there was danger, they'd know to stomp, and I'd run to them. BAMBI: But wouldn't you be scared? GREAT PRINCE OF THE FOREST: Perhaps, but I would still run to them. A prince may be afraid, but he can't let fear stop him from acting. 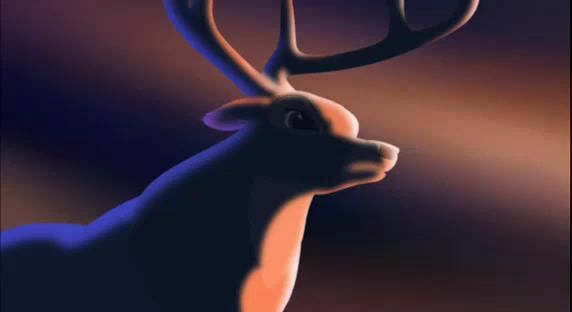 BAMBI: Wow. You know everything. GREAT PRINCE OF THE FOREST: Not everything. Well, the forest is waiting. Are you coming? BAMBI: Oh! Sure!